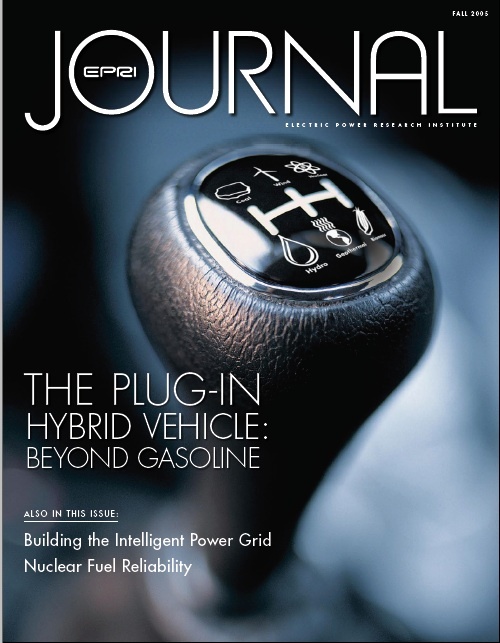 I would highly recommend that anyone interested in an excellent introduction to plug-in hybrid electric vehicles read the article, "Driving the Solution: the Plug-in Hybrid Vehicle," published in the Fall 2005 edition of the Electric Power Research Institute's journal. EPRI is working with DaimlerChrysler AG on the what will likely be the first commercially available plug-in hybrid, a PHEV version of their popular Dodge Sprinter van (see previous post). As you probably know, I am a strong proponent of of plug-in hybrids as be a near-term solution to dramatically decrease our petroleum addiction and shift much of our transportation energy demand to electricity which in turn opens the possibilty of fueling our transport fleet with a variety of domestical energy sources including renewables (wind, solar, biomass, geothermal). 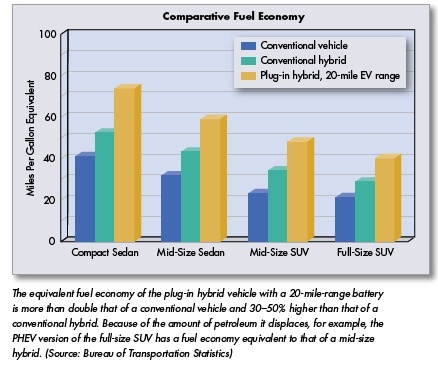 Plug-ins hydrids combine the best of electric vehicles and ICEs - i.e. 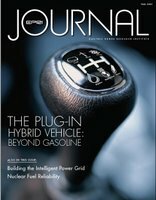 an efficient zero-emission electric only mode with the extended driving range of an ICE - and I highly suggest reading the EPRI article if you are interested in learning more about this exciting technology. 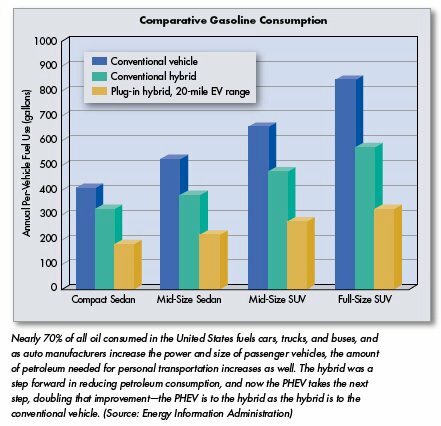 (I've also discussed the incredible potential of plug-ins (and full electric vehicles) before here).